Ever since it was awarded the 2020 Tokyo Olympics six years ago, Japan has made it clear that it intends to use the global spectacle to show off a wide range of its advanced technologies. Japan’s Olympics organizing committee recently ramped up its tech-focused efforts with the launch of the Tokyo 2020 Robot Project, which will bring all of its initiatives together under one roof. 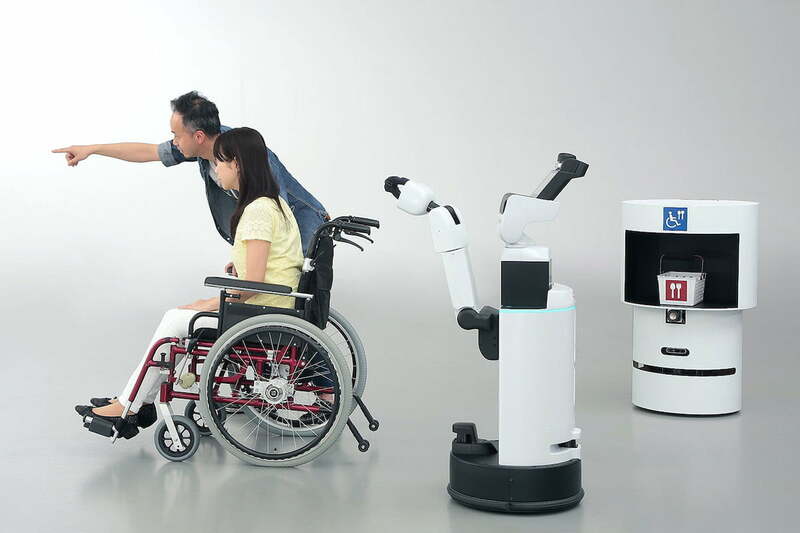 At the project’s launch event last week, Toyota unveiled several new robots that it says will be able to assist disabled people attending next year’s sporting extravaganza. The Human Support Robot (HSR) and Delivery Support Robot (DSR) will work together to offer help to people as and when required. HSR is a meter-high wheel-based robot that can move autonomously or be controlled remotely. It features a robotic arm and hand that can reach up high to grab objects, or pick up items from the ground. The robot can also act as a guide, leading the way for spectators in search of entrances and exits or facilities inside the sports venue. DSR can bring snacks and other items when ordered via an app on a tablet or smartphone. Also wheel-based, the diminutive robot brings the item to the customer in a basket, whereupon they can either take the order themselves or wait for HSR to pass it to them. Officials plan to deploy up to sixteen HSRs and around 10 DSRs, most of them at the Olympic Stadium in Tokyo. Toyota’s Minoru Yamauchi said the robots are part of the automotive giant’s plan to become a mobility company using the latest robotic technology, a strategy similar to the one adopted by fellow Japanese automaker Honda. 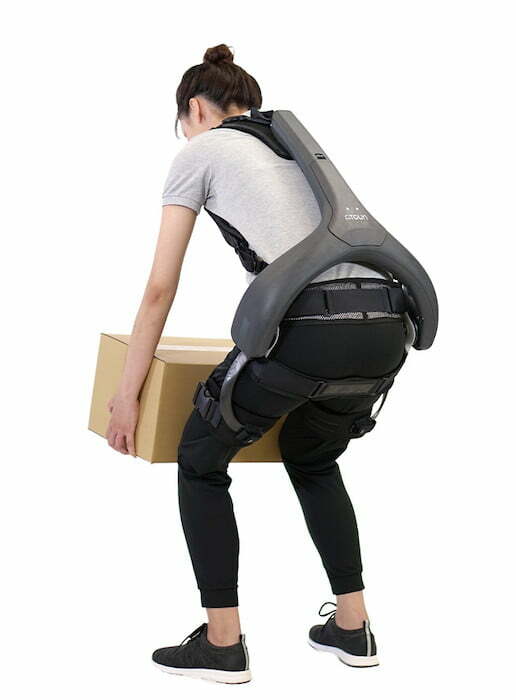 Panasonic also showed off the latest version of its power assist suit (pictured), which provides support to the back and hip area so that wearers can perform lifting tasks without fear of injury. The Japanese tech company said it plans to use 20 of the suits at the Olympics to assist in a range of lifting tasks, such as helping visitors with their luggage. Other high-tech initiatives with Tokyo 2020 in mind include the launch of a robo-taxi service to ferry sports fans around the enormous city, and also to transport athletes between hotels and venues. There’s also been talk of deploying facial-recognition technology at the event to speed up the flow of athletes, officials, and media personnel entering the venues. In addition, organizers are aiming to power the Olympics using only renewable energy, with solar roads providing a portion of that power. Similar technology has already been installed on a number of roads in France and the U.S., as well as on cycle paths in the Netherlands. Tokyo 2020’s organizing committee also recently revealed that it almost has enough recycled tech goods to fulfill its promise to create all of the winning athletes’ medals from e-waste. The initiative was launched in 2017, and since then members of the public have been contributing to the cause by donating their old smartphones, digital cameras, laptops, and handheld games consoles.